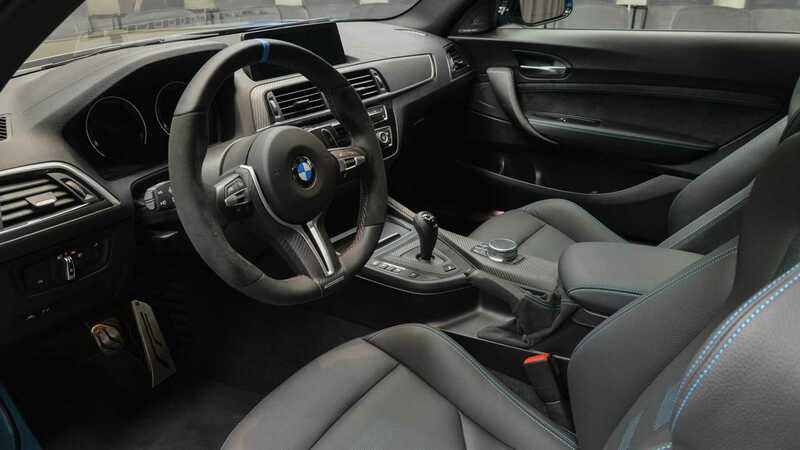 It's easy to get carried away when configuring your next new car, especially when you're shopping at the upper end of the market and you have a ton of options available. But with only a few mouse clicks, the car's final price tag can rapidly increase by 20-30 percent after deciding to purchase some of the extras. That wasn't an issue here with this M2 Competition as this lovely Long Beach Blue is what happens when you go all out with the configurator. Being a high-end version of a Bimmer, it comes as no surprise the speedy coupe is being showcased in the United Arab Emirates at no other than the BMW Abu Dhabi Motors dealer. What makes this M2 Competition stand out from all the others is the M Performance infusion it has received, catering those who are not entirely satisfied by the standard car. 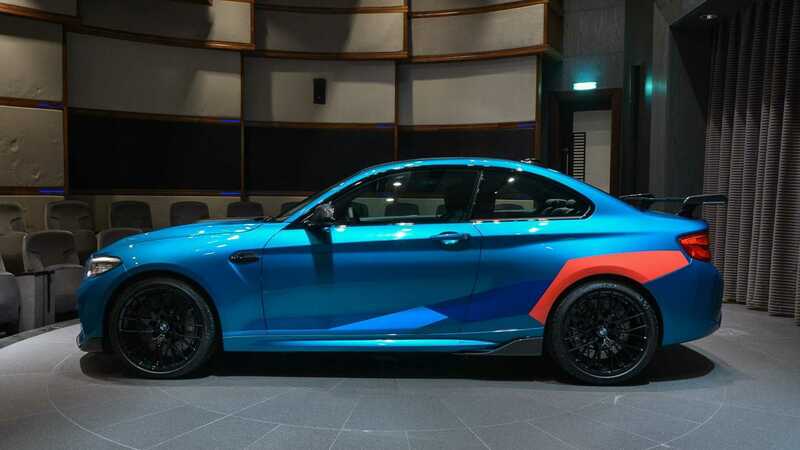 Everything from the carbon fiber front spoiler lip to the fixed wing at the back has been taken straight from BMW's expansive M Performance catalog. We don't get to see what's underneath the hood, but we might find the carbon fiber engine cover optionally available for the newest M2. The upgrades to the body are more than just for show as they actually serve a more important purpose by shaving off a considerable amount of fat. Get the carbon fiber roof and your M2 Competition will lose roughly 11 pounds (5 kilograms) while the carbon fiber trunk lid slashes a further 13 lbs (6 kg). Even the hood has a carbon fiber version to cut an extra 20 lbs (9 kg) and also offer a greater visual impact thanks to the powerdome. For the same purpose, the inside of the trunk lid is completely made of visible carbon fiber to emphasize the diet. If for some reason you're still not entirely happy with the amped-up M2 Competition, BMW is rumored to be working on an even hotter version. 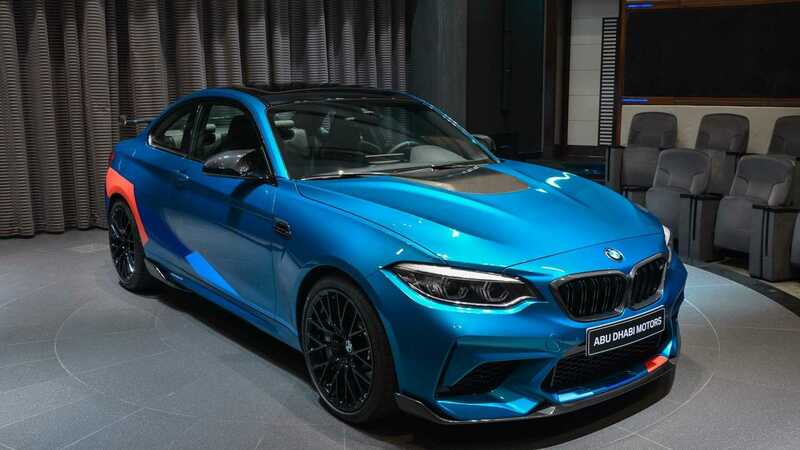 Serving as the swan song for the current-generation 2 Series, the M2 CS (name not confirmed) will reportedly enter production in March 2020 and will offer more power in a lighter package.